What’s the best way to protect your dog from the rain? Umbrellas for dogs! Umbrellas for dogs. They exist. What’s the best way to protect your pooch from a downpour? You might think a coat – but it’s apparently it’s an umbrella. 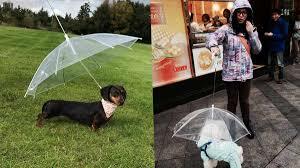 Umbrellas for dogs are real. Other people then shared their own doggy umbrella photos. 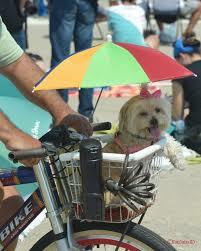 The umbrella clips on to the lead to form a nice shelter for your pampered pooch!